This four CD set captures Molly Hatchet in a period of time where they seemed to be struggling to find their identity. It includes three studio albums (Take No Prisoners, No Guts...No Glory, and The Deed is Done) with bonus material and one live album (Double Trouble Live). 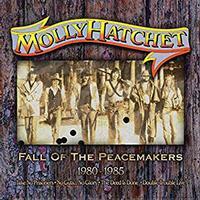 At their best Molly Hatchet is arguably the best of the Southern rock bands. They have the multiple guitar magic of The Outlaws with the Southern edge of Lynyrd Skynyrd and a bit of the blue boogie of ZZ Top. Yet, it's all delivered with more of an edgy guitar sound, making it stand apart. Take No Prisoners found them without their original lead singer (Danny Joe Brown) with that spot in the line-up being filled by Jimmy Farrar. While Farrar does an admirable job, Brown's shoes were hard to fill, and the disc doesn't quite seem to capture the magic because of it. Brown returned with No Guts...No Glory, and the album is a solid outing, but perhaps not as inspired as some of the music in the group's catalog. 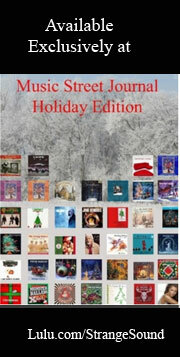 That said, there are some exceptional pieces, most notably "Fall of the Peacemakers." Apparently No Guts...No Glory hadn't performed as well in terms of sales as had been hoped. Given the recent success of ZZ Top with the modern sounding Eliminator album, the decision was made to go in that direction with the follow-up. The Deed Is Done has some good music, but a lot of it suffers from trendy pop-oriented production. The closing live album in this set is arguably the strongest release here. All of it is well worth having, though, particularly in this set with booklet, album cover sleeves and clamshell box. There is a lot of old school rock and roll built into this stomper. Still, it's more modern and vital than that. This is a smoking hot blues rock based Southern stomper. The hook is catchy, and the guitar riffs are meaty. Another smoking hot bluesy rocker, this one even leans a bit toward heavy metal. The female vocals (Baby Jean) bring a soulful edge to the piece. It's another killer to get things going in style. They bring it down a bit with this southern rocking cover. This feels a bit slow and not so inspired. It's good, but not anywhere near the level as the two openers were. Here's another that definitely leans toward heavy metal. In fact, this has a bit of an Iron Maiden vibe to me. Sure, it's still full on Southern rock, but there are definitely comparisons to be made to early Maiden. I really dig the guitar solo on this cut. Now, this screamer definitely lands in the heavy metal zone for the crunch on the guitar. It has a lot of Led Zeppelin built into it, too. That is, if Zep came from Florida's gator country. There is a crunchy edge to this rocker, too. Still, it's more of a traditional hard edged Southern rocker. The horns lend an interesting edge to it. There is some killer honky-tonk piano on this, too. Clean guitar starts this, and the cut grows out to a soaring kind of rocker with a great vibe as the electric joins. The percussion brings a bit of a conga vibe, but the cut is more of an accessible epic rocker in style. The guitar soloing on this is particularly expressive. This has some smoking hot guitar soloing and some real power. It's a high energy Southern rocker that's among the best on this first disc. More of a run-of-the-mill Southern rocker, this still works pretty well. That said, the guitar soling is far from run-of-the-mill, really shining. Another smoking hot rocker, the riffs on this are classic. This radio edit works well, but is pretty much what you'd expect. Another radio edit, for some reason this seems to work better than the album version to me. They tackle this Mountain tune in style. While the recording quality on this recording isn't bad, it is a little listless. The performance is strong, though. This is a classy tune, but feels like it's lacking a bit of energy here. I'm sure part of it is the recording, and part might be the vocals. I love the guitar riffing on this screaming hot tune. This seems to have more energy than the previous one did, and in general works better. There is a blues rock edge to this Southern rocker. It works well, but is not as effective as the previous tune. Now this is screaming hot and one of the best performances of this live set. It really works very well. I dig the killer rock riffing on this number. It's another highlight of this live show. While this isn't a hugely different number in some ways, really love the guitar work on this thing. It's purely on fire. This is purely on fire. It's very much a metal stomper turned Southern rock. You can definitely tell that Danny Joe Brown is back. Very much a new classic Hatchet stomper, this thing rocks like crazy. It feels like it could have come from their first couple classic discs. More of a shuffling rocker, this is like Lynyrd Skynyrd boosted with nitrous. It's not my favorite here by a long shot, but it works. A powerful balladic cut, this is actually quite prog-like in nature. It’s also very epic. The screaming hot second half of this cut is purely on fire. Hard rocking sounds are on order here. This is another killer rocker. It actually makes me think of Danzig just a tiny bit. There is a lot of country and old school rock and roll built into this number. It feels like something that would have been at home in about 1975, While it's not really my thing, it works well. More of a high energy Molly Hatchet stomper this is classic and classy. It definitely has a metal edge to it, too. I love the instrumental section with back to back guitar soloing sections. That's not far removed from things like Judas Priest at all. This is a meaty rocker with a lot of metal edge to it. It's also very much classic Molly Hatchet. This instrumental feels a lot like something Skynyrd might have done, but with some nearly progressive rock elements added to the mix. There is some killer guitar soloing on this thing. As you might guess, this is an alternate edit of the earlier cut. The full version doesn't do that much for me, and this doesn't work as well as that as far as I'm concerned. Still, it does have some catchy hooks. And, you can probably figure what this is, too. While I definitely prefer the main album version, this still works really well. It's packed full of emotion and style. From the trendy drum sound to the mix on the guitar, you can quickly tell that this was engineered to capture the same kind of audience ZZ Top got with Eliminator. Although this is dressed up with modern trappings, it's still instantly recognizable as Molly Hatchet. It's just a different dialect. That said, the bridge reminds me a bit of 80s Alice Cooper. Now, this one is really a mistake as far as I'm concerned. It seems to be reaching for the general hair metal sound. This just doesn't fit the band and feels really contrived and a bit silly. Now, this is a bit more Molly Hatchet like, but that ZZ Top styled "reach for a hit" approach is still all over this. The horn section is an odd touch for the Hatchet. It works reasonably well, but definitely suffers from the production. The mid section is really odd with an almost disco bass driven bridge. A keyboard solo, this is another that doesn't sound like Molly Hatchet at all. That said, it is a cool, trippy piece of music. "Backstabber" might have been a mistake in its hair metal approach, but this one takes a similar tack and pulls it off with style. Sure, it isn't something you'd peg as Molly Hatchet at first listen, but it really rocks. It has too many trendy elements (like the backing vocals on the chorus that seem to try to channel Bon Jovi), but at its heart, there is some real meat and fire on this tune. It's one of the highlights of this third CD. This isn't as trendy as some of the rest, but it still has some of those trappings. The killer blues rock guitar solo and overall all meaty stomp of the tune works really well. This has some of that hair metal edge to it. More of a meaty rocker, this isn't as altered by the production as some of the rest are. It has some catchy hooks and works pretty well. It does feel a bit like ZZ Top in some ways, and the backing vocals bring to mind hair metal, though. Now, this killer rock and roll grind seems pretty clear of the over-production. It's a hot rocker that's very much old school in style. It's also a lot of fun. This is among the most "Molly Hatchet-like" tracks here. This cover tune almost feels like Molly Hatchet does old school Aerosmith. That said, it's because of a shared musical inspiration, not because these guys seem to be trying on a new identity. This is a solid number that is more like what you expect from the band. Another hard rocker that sits well within the classic Molly Hatchet sound, this is a real powerhouse. It classic and has some great hooks. The piano adds a real authenticity to it. This is a beautiful instrumental built around an intricate and evocative acoustic guitar solo. It's actually one of the highlights of this third CD. Truth in advertising, this works pretty well in this format. I don't think this works as well in this edit as it did in the main version. On the other hand, if you are looking for the Bon Jovi approach, perhaps it does. This live cut definitely has some of that change of direction on display. The keyboard textures bring that to bear. I'm not crazy about the chorus, either. It seems too trendy and pop-driven. Still, this has some meat on its bones. The keyboard driven mode on this definitely flies in the face of what you expect from Molly Hatchet. Really, only the vocals make this work. This is way too trendy from the keys to be backing vocals and saxophone. It does have a 1950s rock and roll element buried in there somewhere, but it's drowning in 80s pop trappings. Now, this is Molly Hatchet. It's a killer classic from the band complete with blues harp. They put in a great live performance of a classic tune. We're still in the classic zone with this screaming hot rocker. It's another high-energy, on-target performance. This thing leans toward metal. They continue to bring the classics here. The guitar showcase movement later in the track is purely on fire. Listen to that bass work, too. This is such a strong live performance. Another that's a trademark Molly Hatchet tune, this rocker really shines here in this live take. While this live take has some of that 80s metal thing on display, it is less prominent than it was on the studio version. This works pretty well, despite feeling a bit more like Bon Jovi than it does Molly Hatchet. Another cool rocking jam, this feels more like what you expect from the band. That said, there are some 80s keyboard textures over the top at times. The bridge on this is more trendy, too. More of a straight-ahead rock and roll vibe is on display here. It really feels like Molly Hatchet as it tends to eschew a lot of the trendy stuff. Another screaming hot Molly Hatchet rocker, this one really excels in the smoking hot guitar soloing that makes up the emphasis of the extended instrumental movement. Here they turn their attention to the classic Lynyrd Skynyrd tune. It might be a clichéd thing to yell at a concert, but they do a very strong rendition. This is actually quite faithful, but it has Molly Hatchet markings within it, many from the vocal performance. The jam later in the track takes on a bit of a metallic crunch, adding some flavor, too. Here we get another classic delivered with style. I love the bass work on this performance. The whole cut really works, though. There's a really good chance that if you are reading this, you have heard this tune. You know what expect, then. It's an extremely faithful rendition that is quite strong. A keyboard solo focused on piano starts this track. That holds it for a time before this explodes out into some screaming hot hard rocking material. This is almost metal and fully Southern rock based. I dig the piano jamming later in the track. It lends an authentic Southern edge to the piece. Later in the track it shifts out to a decidedly metallic faster paced jam that really rocks. They put in a great live performance of this number, too. The balance between mellower and more rocking stuff here works well. The whole thing is faithful and inspired. If it falls short of the studio version, it's in the closing section, but even that still rocks like crazy. They close things with the song that's one of their best known pieces. This is a fired up and quite effective live version of the track. This is a killer way to end the set in style.